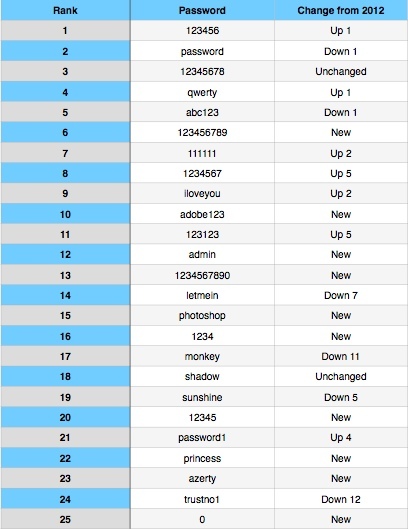 Last year’s worst of the worst passwords has been dethroned. However, the Worst Passwords of 2013 List is still chock full of face-palmingly bad passwords. And, yes, although it is no longer number one, “password” is still very much on the list. The worst password of 2012 was, indeed, “password.” And, according to Splash Data, this year the worst of the worst is — this is going to make you cry — “123456”. Ready to face palm again? Although “password” isn’t number one anymore, it didn’t fall off the worst passwords list — it’s number two. Oy veh! “Seeing passwords like ‘adobe123’ and ‘photoshop’ on this list offers a good reminder not to base your password on the name of the website or application you are accessing,” said Splash Data CEO Morgan Slain said in a statement. Worst Passwords: Time to Change! — Is at least eight characters long. — Does not contain your user name, real name, or company name. — Does not contain a complete word. — Is significantly different from previous passwords. That said, Microsoft advises that following the above rules can still result in an insecure password (i.e. Hello2U!). A more secure example of the same easy to remember root phrase is H3ll0 2 U! 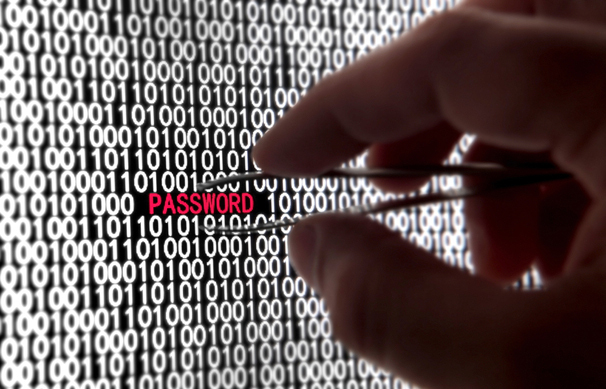 Does the Worst Passwords of 2013 List include one (or more!!!) of the passwords you are currently using? Then, please, use the above guidelines to create a good, proper and secure password.